Seepage Control, Inc. has been sealing ponds and lakes since 1958. We manufacture and sell ESS-13, a liquid polymer emulsion that reduces the hydraulic conductivity of soils beyond their natural capability by filling voids as well as chemically and electrically modifying the alignment of the clay platelets in the soil. 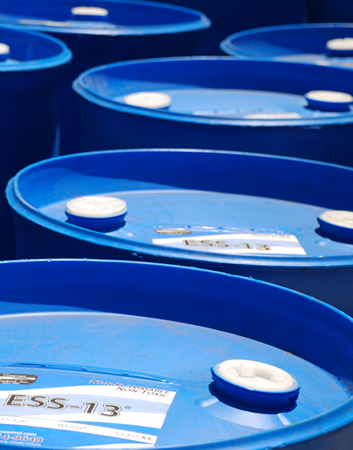 ESS-13 is cost-effective and compliant with EPA regulations. By using one of the ESS-13 systems, an environment is created that allows for continual seepage rate reduction. This is due to the stabilization of the soil and the reduction of voids. Microscopic fines that would ordinarily pass through the larger voids in the native soil will build up on the ESS-13 liner surface. The ESS-13 system is the only lining system that actually improves with time. This method is suitable for new lakes or renovation projects. The product is mixed into the soil using standard earthmoving equipment. The desired goal is a uniform soil, water and emulsion mixture. Once that is achieved, the soil is then compacted in 6” lifts until the specified liner thickness is achieved. Each 6” layer is then compacted at (+/-) 2% of optimum moisture content. Once the compaction is complete the lake is ready to fill. Read more. For existing ponds and lakes that are full or partially full, the most economical option for reducing seepage is the Waterborne treatment. With this method, the product is simply poured into the existing body of water and it migrates over the next 72 hours. As the seepage occurs, the product is drawn into the soil where it reduces the amount of water loss due to seepage by 60% to 90%. A Waterborne application of ESS-13 usually requires one gallon of product to every 2,000 gallons of water, although this rate may vary. Read more. Over the last ten years the development of our most effective lining system, the ESS-13 Spray-On application, has opened up many doors of opportunity in the public sector. This method can usually meet the most stringent wastewater standards utilizing on-site soil. 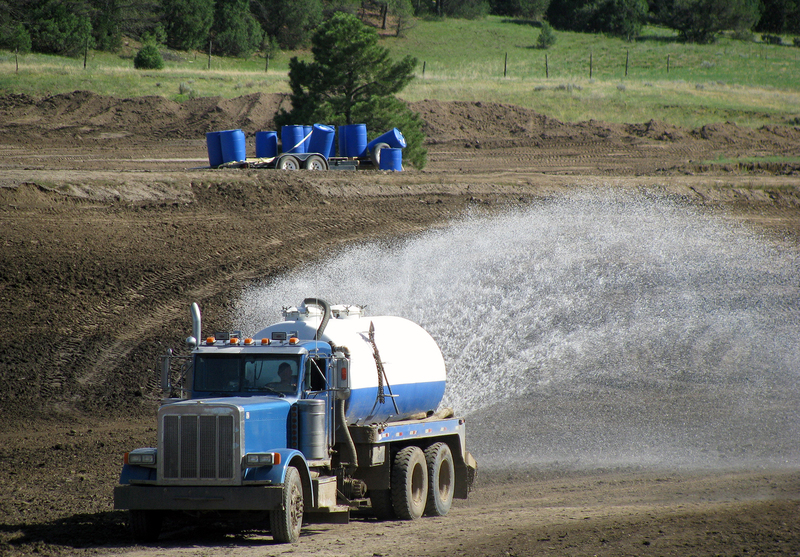 With this method, the product is simply sprayed onto a properly prepared subgrade and then allowed to dry. Once it is dry, a 6” compacted soil cover is placed over the liner to protect it during the filling process. Read more. 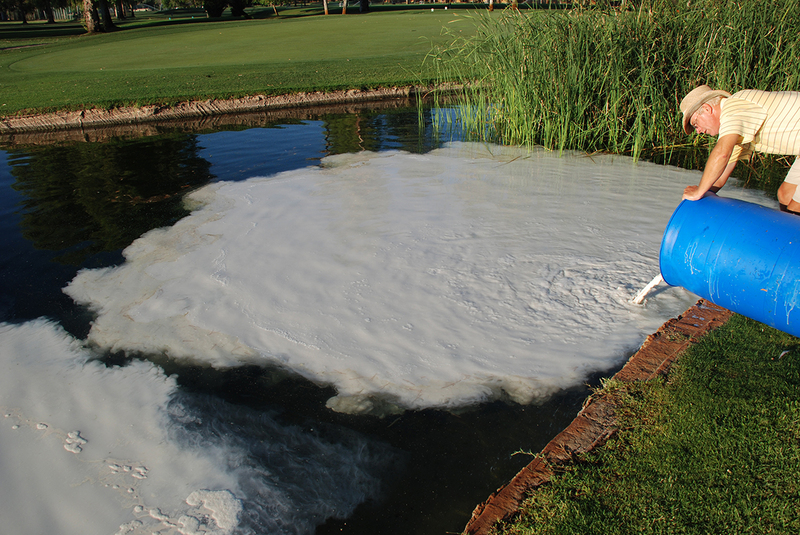 Want to learn more about using ESS-13 to line your lake or pond? Connect with us!